UNPLUGGED was a six months workshop where we met once per month for six months. We have done several such workshops prior to UNPLUGGED. This however was a closed workshop available only to those who had attended the previous 6 months workshops. To attempt to outline all that was shared is challenging. Each month there was an assignment based on the information shared and participants used the science to change their lives...creating profound consciousness shifts. Such shifts begin to transform our lives beyond the survival protocols of reality. 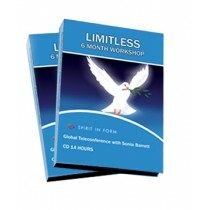 You will happy that you invested in these workshop audios. What are the scripts that you have given to each character or situation in your life? Here we met once per month for six months. Workshops are not outlined ahead of time and so below is a brief list of topics addressed over the 6 months period. What we experienced is far more than can be summarized here. This was a closed workshop available only to those who had attended the previous 6 months workshops.